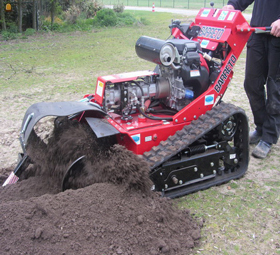 The Barreto 2036 is the total solution when it comes to trenching. 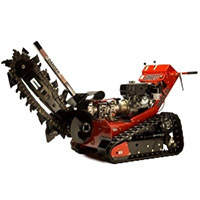 With durable steel shielding, an operator-presence system, easy-to-learn and color-coded controls, and park brake, the 2036 is the answer to your walk-behind trenching projects. The trencher comes stocked with its own transport trailer for added convenience. Trailer requires 2″ towing ball.